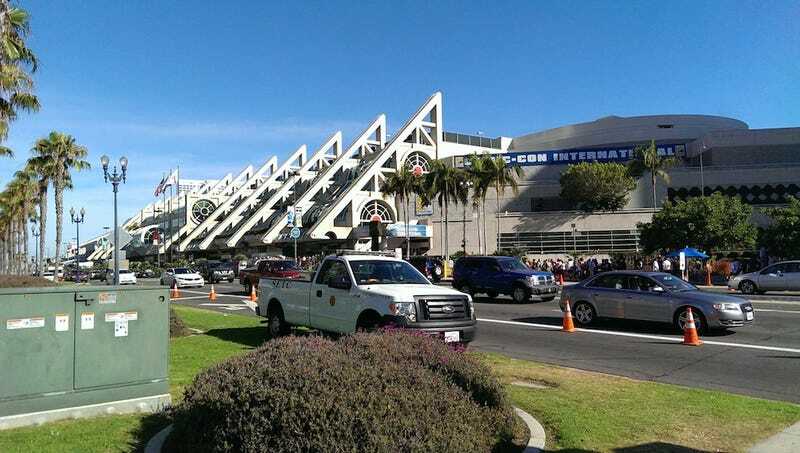 Our own Mike Fahey is on the ground at Comic-Con this week. Through Friday, he'll be bringing you all the best toys, games, comics and costumery the San Diego convention center has to offer. For now, though, he brings you this picture.